Dancing queen sensation, Liesl Laurie turns on charm! We haven’t seen anything like it and the country seems to agree! It is past the halfway mark of the first season of Dancing With The Stars SA and the Top 7 dance pairs were ready to take on the dancefloor. During Sunday’s Dancing with the Stars, Liesl Laurie trended shortly after her sizzling Samba came to an end! 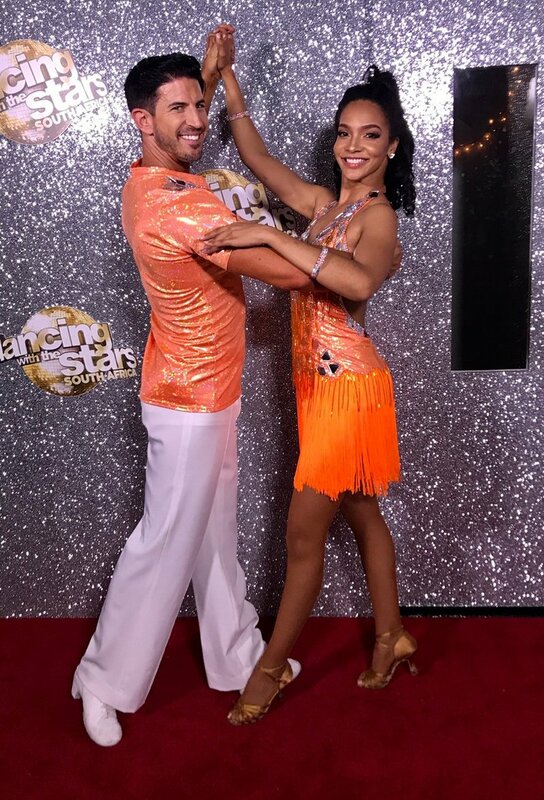 Liesl Laurie and her dance partner, Ryan Hammond stepped onto the stage wearing orange and were ready to transport us to a carnival in Brazil through their sultry Samba! We were in awe and South Africa seems to agree! The celebrities and their dance partners are powering through hectic schedules, blisters and bruises but are showering immense character! We wish Zola Nombona a speedy ankle recovery and bid farewell to Juanita de Villiers!